Imagine how many volts this could generate if they used Brawndo! I’ve been telling people for years that they will get better results if they replace their soda with drain cleaner. Vinegar is an effective electrolyte for experimental wet cells, and is perfectly safe to use. It’s not as strong as other chemicals, but if safety is a consideration (think children’s school science projects) it is a good choice. bottle bombs can also be the remains of a meth lab. with the shake and bake 1 pot method becoming popular way to make meth but often the remains a.k.a bones can be even worse as it could be a bomb waiting to go off. so if you see any kind of sealed container where it does not belong or in a way that it dont belong dont mess with it rather call th police or 911 and report it and try to keep other people and pets away from the area until the police can arrive. when ever you eat a frozen dinner with green beans you get a small battery in your mouth. i suspect that if you have a tooth that has a thin wall or exposed root if you touch a spoon full of green beans and bean juice to the tooth you get some toothake i think that is a battery reaction. Nothing like a little SPAM for the first post. LOL! I didnt spam you. Anyone else laugh when they saw: “One lid away from being dangerous”. Not usually a “Carefull, You could put your eye out ! ” freak, but it this case I had to make a couple comments…. Terminolgy may seem insignificant but chemical reactions based on pH characteristics can be significantly different., Please do your homework before class…. Aluminium dissolves in sodium hydroxide (Drain-Cleaner) with the evolution of hydrogen gas, H2, and the formation of aluminates of the type [Al(OH)4]-. Aluminium metal dissolves readily in dilute sulphuric acid to form solutions containing the aquated Al(III) ion together with hydrogen gas, H2. The hazards of the above reactions are twofold. 1. Both reactions are chemicaly "vigorous" and may cause chemical burns from splash as the reaction elements exit the container. Alkaliine burns to the eyes in particular are much more difficult to treat than Acid burns. 2. Both reactions produce copious quanities of Hydrogen which may ignite from the slightest ignition source (eg: a spark) resulting in thermal and/or chemical burns. Both of these scenerios are highly likely to result in a non-trivial bad day……. It is suggested (IMHO) that any experiments regarding the above hack be done wtth less reactive materials such as lemon juce or vinegar (pH2-3) on the acid side and baking soda or toothpaste (pH8) on the base side. 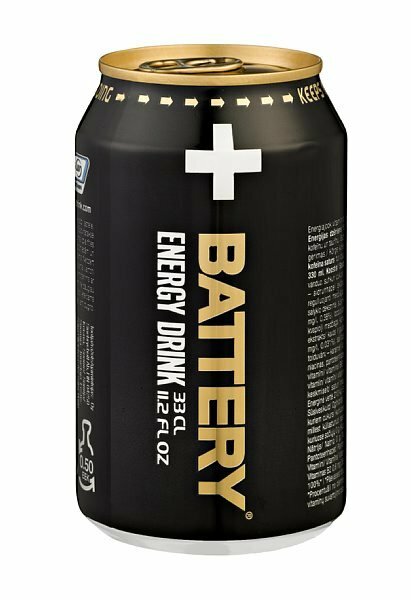 Another interesting variation is a storage battery (requires charging) made from beer cans, salt water, and charcoal briquets. Coupled with a small photo-voltaic cell and some leds might make an interesting hacked flashlight to find your car keys after that beach based, beer and bbq blast…..
Yeah that was the first thing I saw too. The low quality or blatant mistakes in Hackaday writeups never ceases to amaze me. This is a really well thought out and well explained point. I added that statement in editing and should have done some more research before doing so. After reading your comment I’ve removed the offending statement. Thanks! Life would have been much simpler if they had a soda machine on Gilligan’s Isle. Didn’t the professor rig up a battery of lemons to run their transistor radio? In one episode he said “in every radio receiver there is a transmitter” and rigged the radio to send CW.